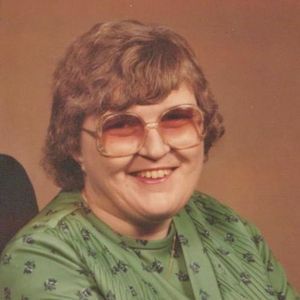 Myra Jeanne Nethercutt Hudson, of Clarkton passed away on Wednesday, September 26, 2018. She is preceded in death by her parents: George and Winnie Nethercutt and one grandson: Jason Helms Jr. Jeanne leaves behind her loving husband of 53 years, Jimmy Hudson Sr. of the home, son Jimmy Hudson Jr. (Melissa), daughter: Betsy Helms (Jason) all of Bladenboro, sisters: Helen Parker (John) of Atlanta, GA; Mary Nethercutt and Mack Boyer of Youngsville, NC; one brother: Buddy Nethercutt and Meg Henschel of Watsonville, CA and five grandchildren: Briana Brennan (Wesley), Staci Helms, Jason Helms III, Brycen Blackmon, and Hannah Milligan. Jeanne married the love of her life, Jimmy Hudson Sr. on December 24, 1964 and they have been inseparable for the last 53 years. Wherever you saw Jimmy, Jeanne was close by. She was a dedicated wife, mother, and grandmother. She loved her children and grandchildren with all her heart and would have done anything in the world for them. Jeanne retired from Bladen County School System with 22 years of service as a teacher. A loving, quiet spoken, kind hearted lady that will forever be in the hearts of all that knew her. The family will receive friends from 2-3 pm on Friday, September 28, 2018 at Bladen Gaskins Funeral Home in Elizabethtown followed by a funeral service at 3:00 pm with Rev. J.W. Melvin and Rev. Larry Cain officiating. Burial will follow the services in the Clarkton City Cemetery. Add your thoughts, prayers or a condolence to Myra's guestbook.